Today’s feature is undoubtedly one of the worst superhero movies of all time: 1980’s Pumaman. Pumaman was directed and co-written by Alberto De Martino, who was also behind such low-budget fare as Holocaust 2000, Miami Golem, Dirty Heroes, and Gladiators 7. The other credited writers on the film were Massimo De Rita (Blood in the Streets, Everybody’s Fine) and Luigi Angelo (Black Killer). The cinematographer for Pumaman was Mario Vulpiani, who primarily worked on Italian movies throughout his career. However, he did wind up shooting Stuart Gordon’s cult classic H.P. Lovecraft adaptation, Castle Freak. 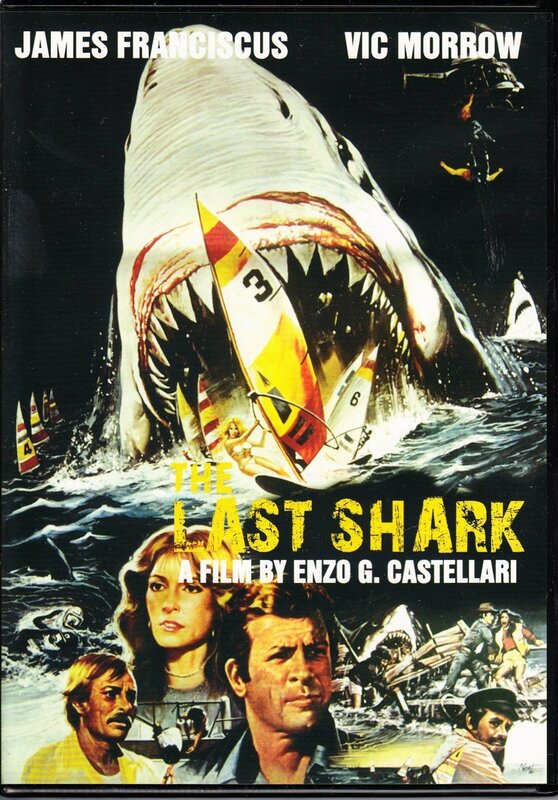 The editor on Pumaman was Vincenzo Tomassi, who frequently worked for Lucio Fulci on films like The Beyond, Zombie, and The New York Ripper. He also cut the infamous film Cannibal Holocaust, as well as the monster movies Killer Crocodile and Killer Crocodile 2. The music for Pumaman was provided by Renato Serio, who also composed the score for 1982’s Alone in the Dark. The theme song to Pumaman might be the most notorious and memorable aspect of the movie next to the hilarious flying effects, and I wish everyone luck in trying to get the song out of your heads. The cast of Pumaman included Donald Pleasance (Halloween, The Great Escape, Escape From New York, Warrior of the Lost World, Django 2), Walter George Alton (Heavenly Bodies), and Miguel Angel Fuentes (Fitzcarraldo, Herod’s Law). 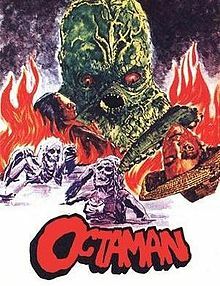 The plot of Pumaman centers around a young man who is given an assortment of super-powers by Aztec gods / an amulet / aliens / his genetics, and has to hunt down a sinister madman who is trying to use an enchanted mask for nefarious purposes. 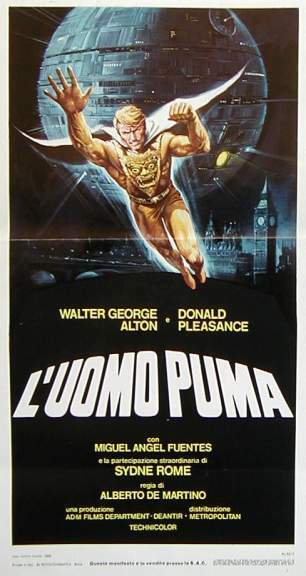 It has been reported that Donald Pleasance regarded Pumaman as the worst movie he ever participated in, though I haven’t been able to dig up a source on that outside of the IMDb trivia section. Pumaman is primarily known by bad movie fans because it was featured in a 1998 episode of the hit show Mystery Science Theater 3000, which was known for digging b-movies out of obscurity to comedic effect. The star of the film, Walter George Alton, is apparently now a medical malpractice attorney in New York City, and has left his acting career well behind him, having only featured in a handful of flicks aside from Pumaman. The reception to Pumaman, particularly following being featured on Mystery Science Theater 3000, was hugely negative. 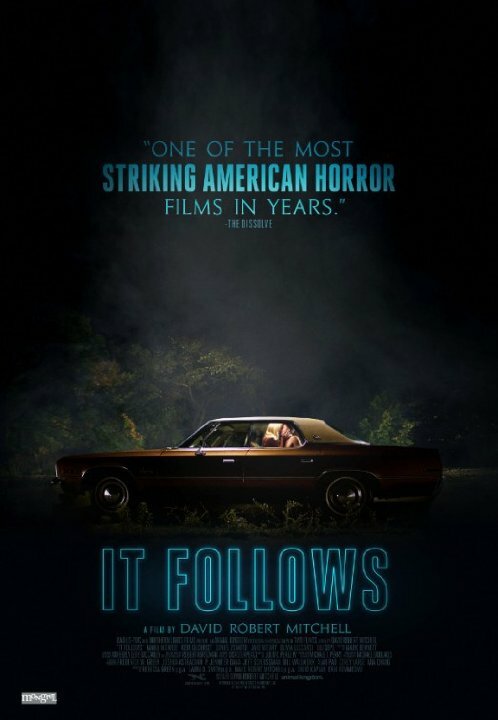 It currently has a 30% audience score on Rotten Tomatoes, along with an impressive 2.1 rating on IMDb, ranking it in the Bottom 100 films on the website (which is how I initially came across it). The attempted flying effect in this movie is just pathetic, to the point of being absolutely hilarious. It is something that you honestly need to see to believe. There are a number of other thoroughly unimpressive attempts at special effects scattered throughout the movie, including a spaceship that looks either looks like the Monarch’s cocoon from The Venture Bros or a Christmas ornament, depending on who you ask. 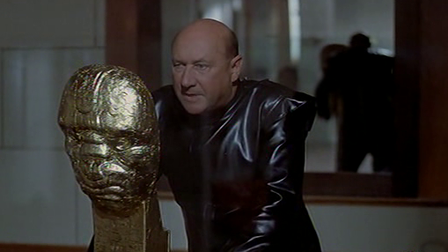 The acting is unsurprisingly sub-par throughout Pumaman, but Donald Pleasence does ham up his role quite a bit. There are a number of moments where you can tell that he knows how bad this movie is going to be when all is said and done, but he still puts effort into it regardless. It is also worth mentioning that it has to be difficult to effectively act when you are having to peek out from behind a giant, ridiculous mask prop for nearly the whole movie. The story to Pumaman makes very little sense. For instance, I’m still not clear on why the main character is a “puma” man, given his powers involve teleportation, flying, and (oddly) faking suicide. Are those typical puma behaviors that I just wasn’t aware of? It is also a bit unclear as to what the origins of his powers are. While it seems that they are granted to him from aliens, it is also mentioned that the powers are somehow hereditary, which doesn’t make much sense to me. Overall, Pumaman contains a fantastic brew of honest incompetence that generates a genuinely entertaining product. It is absolutely terrible in every technical aspect I can think of, which makes it a bafflingly hilarious experience to watch. It confusedly stumbles its way through the run time, and never fails to be a spectacle of low-budget determination devoid of talent. 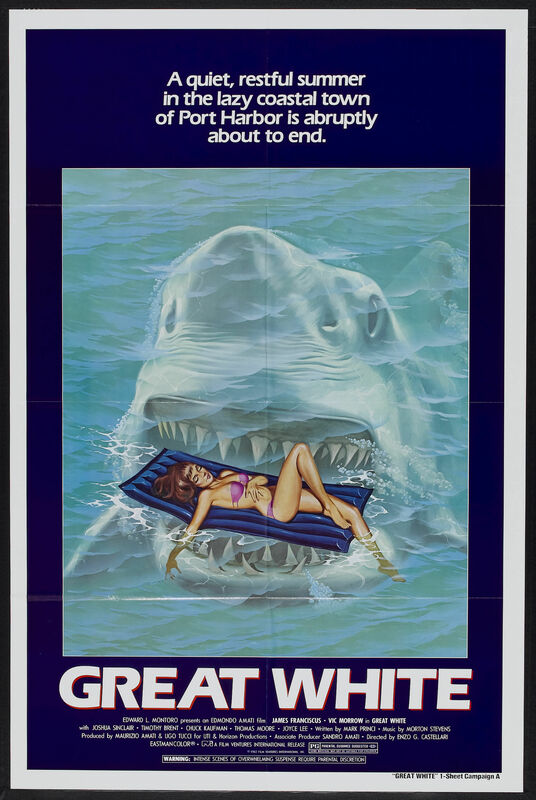 For fans of bad movies, this is an essential flick to check out, with or without the accompaniment of Mystery Science Theater 3000. 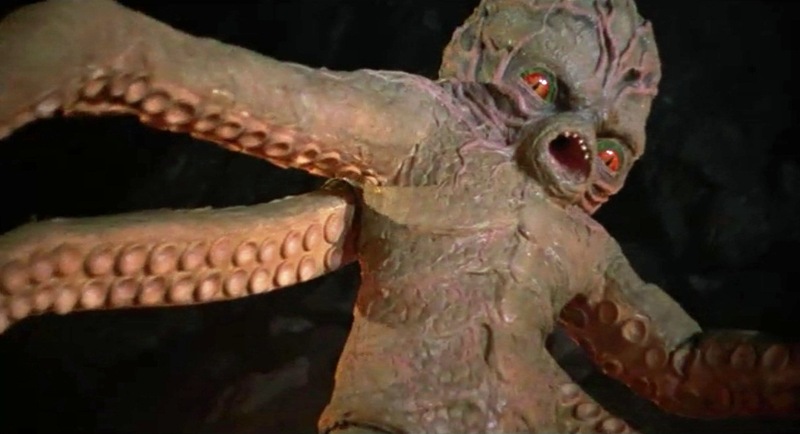 Today’s entry into the “Water Foul” spotlight on the worst aquatic monsters in movie history is 1966’s Godzilla vs. The Sea Monster. Godzilla vs The Sea Monster was written by Shinichi Sekizawa, the primary writer of the Showa era of Godzilla. His credits include the MST3K-infamous Godzilla vs. Megalon, Godzilla vs. Gigan, Godzilla’s Revenge, King Kong vs. Godzilla, Godzilla vs. Monster Zero, Ghidorah: The Three Headed Monster, Godzilla vs. Mothra, and Godzilla vs. Mechagodzilla. The director for Godzilla vs The Sea Monster was Jun Fukuda. This was his first Godzilla movie, and afterwards he would direct four more in the Showa era of the franchise: Son of Godzilla, Godzilla vs Gigan, Godzilla vs. Megalon, and Godzilla vs. Mechagodzilla. The cinematographer on the film was Kazuo Yamada, who also shot Son Of Godzilla, Samurai III, and Samurai Rebellion, as well as Key of Keys, which was used as the source material for Woody Allen’s What’s Up, Tiger Lily? The editor for Godzilla vs The Sea Monster was Ryohel Fujii, who was yet another Toho regular, cutting such films as Ghidorah: The Three Headed Monster, King Kong Escapes, Frankenstein Conquers The World, and Godzilla vs. Monster Zero. Executive Producer Tomoyuki Tanaka was a producer of the Godzilla franchise from the original Godzilla all the way through the conclusion of the Hesei era, 1995’s Godzilla vs. Destroyah. He also frequently produced movies for Akira Kurosawa, such as Yojimbo, Kagemusha, and Sanjuro. The music on Godzilla vs. 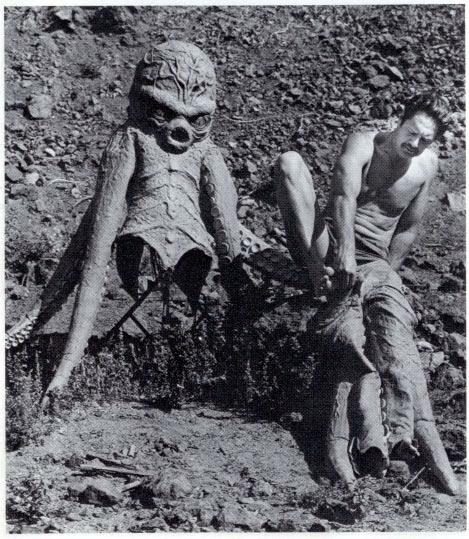 The Sea Monster was done by Masaru Sato, who accrued 236 score composition credits over his illustrious career, including Yojimbo, Throne of Blood, Sanjuro, Godzilla Raids Again, and The Hidden Fortress. The Godzilla vs. 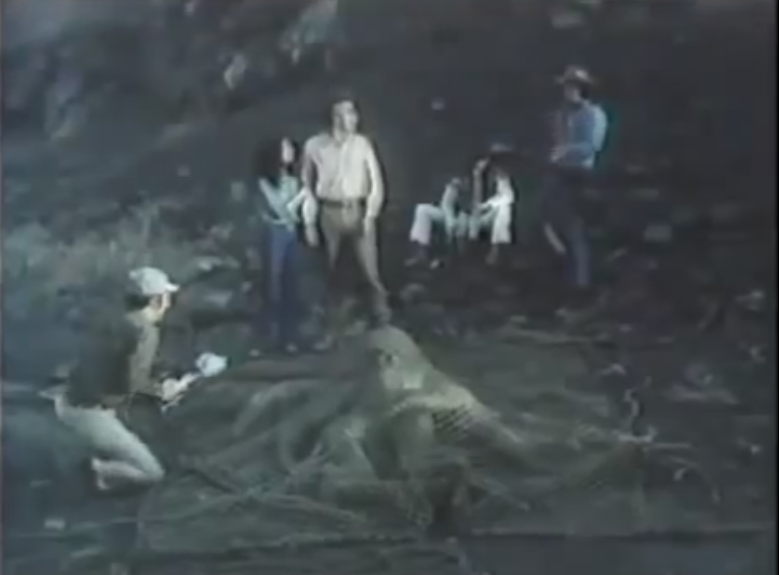 The Sea Monster effects team included Sadamasa Arikawa (Godzilla, Destroy All Monsters, Mothra, Rodan), Sokei Tomioka (Terror of Mechagodzilla, King Kong Escapes, Frankenstein Conquers the World), Taka Yuki (Godzilla, Ghidorah: The Three Headed Monster), Fumio Nakadai (Son of Godzilla, Godzilla’s Revenge), Eiji Tsuburaya (Godzilla, Godzilla Raids Again, Throne of Blood, Rodan, Mothra), Teruyoshi Nakano (Godzilla vs. Mothra, Godzilla 1985), and Akira Watanabe (The Green Slime, Godzilla, Godzilla Raids Again, Destroy All Monsters). 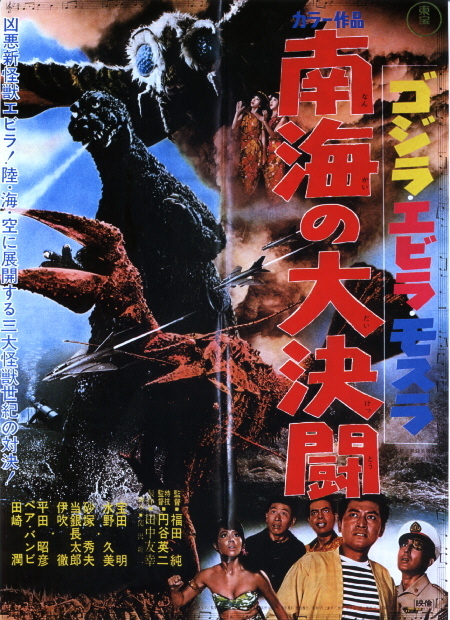 The cast of the movie included a number of recognizable faces from other Toho films: Akira Takarada (Godzilla, Godzilla vs. Mothra, King Kong Escapes, Godzilla vs. Monster Zero), Kumi Mizuno (Godzilla: Final Wars, Godzilla vs. Monster Zero, Frankenstein Conquers the World), Chôtarô Tôgin (Destroy All Monsters), and Tôru Ibuki (Terror of Mechagodzilla, Godzilla vs. Monster Zero). The plot of Godzilla vs. The Sea Monster has very little to do with the monsters themselves. A terrorist organization has taken over a small island, and is secretly developing nuclear weapons there. They use a giant shrimp, named Ebirah, to defend the island and prevent any of their captured slaves from escaping. However, they ultimately capture a Japanese citizen, and his family goes hunting after him, ultimately leading to the discovery of the secret base. Serendipitously, Godzilla is found sleeping in a cave nearby, and is awakened to fight Ebirah. Also, Mothra is hanging around on a nearby island (where the slaves were mostly kidnapped from), and eventually shows up to help towards the end of the story. Godzilla vs. The Sea Monster was initially planned to be a King Kong movie, and many of that monster’s trademarks and characteristics remain in the movie. Godzilla’s uncharacteristic obsession with a woman and his awakening via lightning were both associated with King Kong as opposed to the King of the Monsters. The lightning revival came from King Kong vs. Godzilla, which was also due to a last minute monster replacement (King Kong for Frankenstein’s Monster), making the trait all the more confusing. The Sea Monster itself, Ebirah, is named after the japanese word for shrimp, ‘ebi.’ This essentially confirms that Ebirah is supposed to be a shrimp, though it looks a bit more like a lobster. Godzilla vs. The Sea Monster interestingly marks the last appearance of a full-grown Mothra in the Showa era of Godzilla, though the larval form pops up again in Destroy All Monsters in 1968. Mystery Science Theater 3000, the popular bad movie television show, had an episode dedicated to Godzilla vs. The Sea Monster in its second season. The episode immediately followed the more recognizable and terrible Godzilla vs. Megalon, which famously features the robot Jet Jaguar. The reception to Godzilla vs. The Sea Monster was generally negative, and is regarded as one of the weaker entries into the series. It currently holds a rating of 5.1 on IMDb, along with a 39% audience score on Rotten Tomatoes. 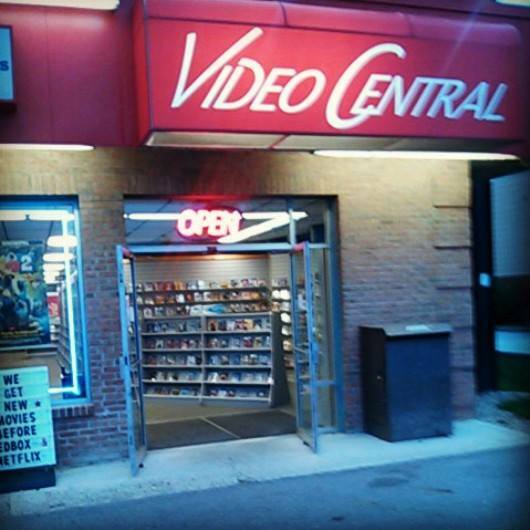 First off, Godzilla vs. The Sea Monster definitely focuses far more on the human plot than the monsters, which is bound to be part of why it is so unpopular. Godzilla doesn’t even appear on screen until an hour into the picture. However, the story isn’t super-awful as far as the Showa era of Godzilla is concerned. 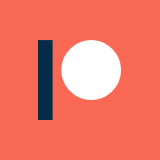 The terrorist organization isn’t as memorable as sound-prone aliens from Planet X or angry cockroach people, but they serve well enough here. The monster fighting that does appear in the movie is really lackluster. Ebirah isn’t particularly powerful, and doesn’t have any way to effectively compete with Godzilla, eand ventually gets his claws torn off without much fanfare. There are a couple of other minor battles, such as a skirmish between Godzilla and Mothra and the appearance of a Rodan-like bird monster, but they are both pretty brief and unmemorable. The movie does feature an infamous volleyball fight between Ebirah and Godzilla, which I believe pops up again re-purposed in the even more terrible Godzilla’s Revenge. My favorite part of the film by far is when Ebirah spears two people on one of his claws like a shish kebab, which both looks ridiculous and is kind of jarring. You don’t see the Toho monsters directly kill people very often, though death is heavily implied by their stomping and blasting. It definitely stands out as a highlight moment in the movie, and is one of the few clips worth checking out. Overall, Godzilla vs. The Sea Monster is a pretty mediocre entry in the Showa era of Godzilla. It isn’t particularly over-the-top or entertaining in comparison to the rest of the series, but also isn’t quite amusingly abysmal enough to make sitting through it much fun. The MST3K episode is pretty solid and the background trivia is interesting, so if you want to watch it, I’d recommend going that route with it. 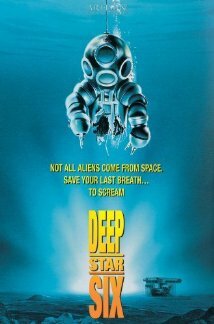 Today’s movie is one of the numerous 1989 deep ocean science fiction flicks: DeepStar Six. DeepStar Six was written by two people: Geof Miller (House IV) and Lewis Abernathy (Terminal Invasion, House IV), neither of whom have many other writing credits of note. DeepStar Six was directed and produced by Sean Cunningham, who was also behind Friday the 13th, The New Kids, and Spring Break, and also acted as a producer on Jason X and House. The cinematographer on the film was Mac Ahlberg, who also shot such films as Re-Animator, King of the Ants, Evil Bong, Good Burger, Space Truckers, From Beyond, Dolls, Trancers, Ghoulies, and House. The editor for DeepStar Six was David Handman, who also cut Jason X and Wishmaster, and served as assistant editor on Footloose and Staying Alive. The music for the film was provided by Harry Manfredini, who also provided scores for House, Swamp Thing, Friday the 13th, Wishmaster, Jason X, and The Omega Code. Aside from Sean Cunningham, the producers for DeepStar Six were Mario Kassar (Showgirls, Angel Heart, Red Heat, Total Recall, Jacob’s Ladder, Terminator 2), Patrick Markey (The Quick and The Dead, Joy Ride, House), and Andrew Vajna (Judge Dredd, The 13th Warrior, First Blood). The cast of DeepStar Six includes Taurean Blacque (Hill Street Blues), Nancy Everhard (The Punisher), Greg Evigan (TekWar), Miguel Ferrer (RoboCop, Twin Peaks, Hot Shots Part Deux), Nia Peeples (Blues Brothers 2000), and Cindy Pickett (Evolver, Ferris Bueller’s Day Off). 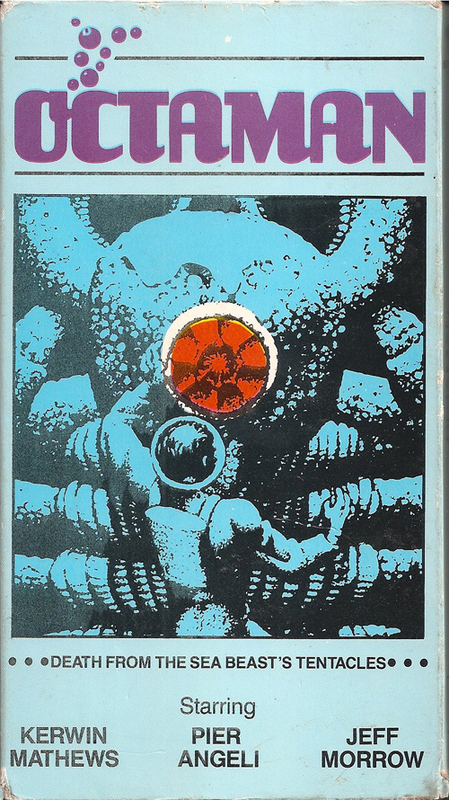 The plot to DeepStar Six follows the population of an experimental deep water military colony that comes under attack by a mysterious sea monster. 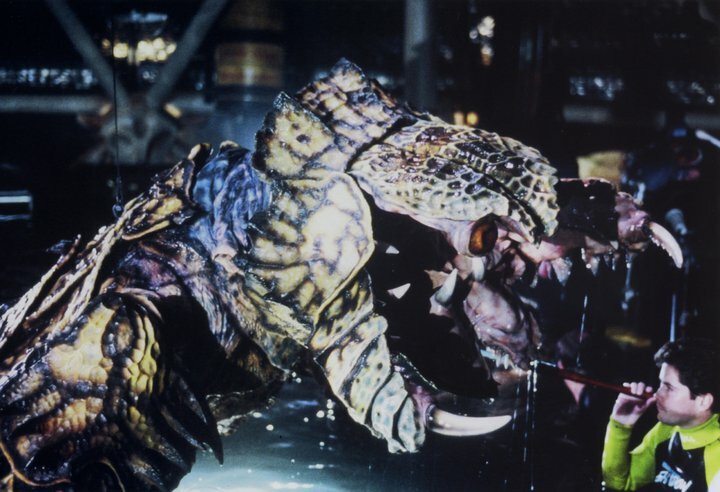 DeepStar Six kicked off the 1989 deep sea sci-fi boom, which also featured Leviathan, The Abyss, The Rift, Lords of the Deep, and The Evil Below. However, the early bird failed to get the worm on this occasion: the film just barely broke even on its theatrical run. Robert Harmon (best known for The Hitcher) was initially going to direct the film, but left the production before filming. Cunningham, who was set to produce, took on the directing role as well. 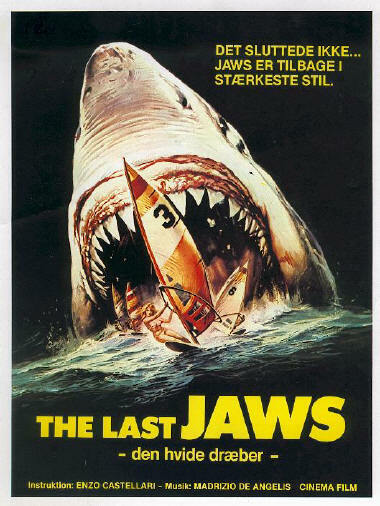 The reception to DeepStar Six was pretty negative, likely due to unfavorable comparisons to the similar, more impressive films The Abyss and Leviathan. It currently holds a 5.1 rating on IMDb, along with Rotten Tomatoes scores of 0% (critics) and 22% (audience). I noticed from reading around that some more recent reviews of DeepStar Six compare it to 1998’s Sphere, which strikes me as a genuinely more similar movie to DeepStar Six than both of its major contemporaries, The Abyss and Leviathan. The monster isn’t nearly as impressive as the bizarre concoction in Leviathan or the creatures from The Abyss, and that makes for a pretty significant comparative weakness. 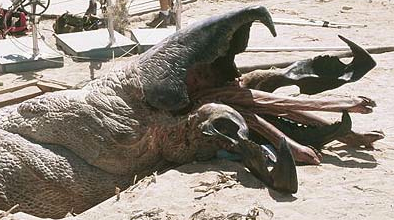 Personally, I thought it just looked like a Graboid from Tremors. 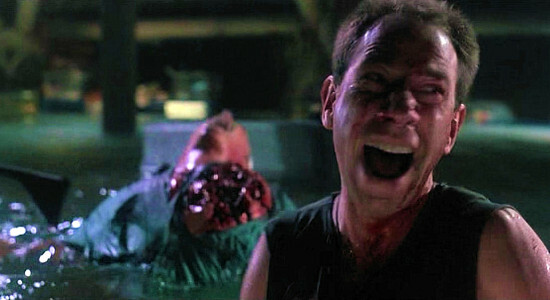 The cast also isn’t nearly as deep for DeepStar Six as the other two movies, though I absolutely love Miguel Ferrer going increasingly off his rocker in this film. Overall, DeepStar Six isn’t an awful flick, it just pales in comparison to its peers. If this had come out a year or more earlier, people probably would have been less harsh to it. That said, it is also far from fantastic: the pacing is certainly not great, and most of the components of the film are mediocre from top to bottom. It doesn’t deserve the abysmal reputation that it has accrued, and I think the more recent reviews and ratings of the film reflect that. This movie isn’t garbage, it is just middling, and to a certain degree a victim of its historical context. As far as a recommendation goes, the only thing I loved about this movie was Miguel Ferrer’s over-the-top performance. 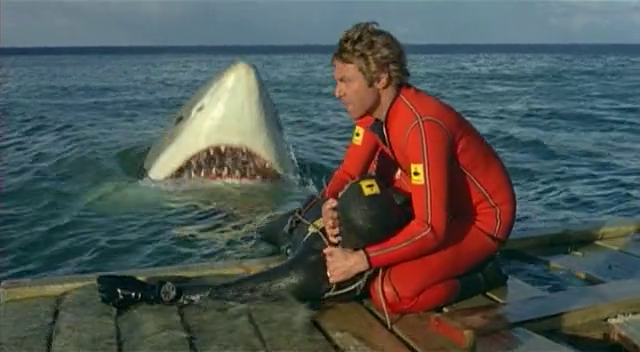 The story plods along, and feels like the broad-strokes plot of Deep Blue Sea stretched to its absolute limit. The movie works fine as background noise if you just want to have something on Netflix, but it isn’t something people should particularly seek out.